In the United States, there are many laws that protect investors. One of them prohibits entrepreneurs from mass-marketing investments in their businesses. 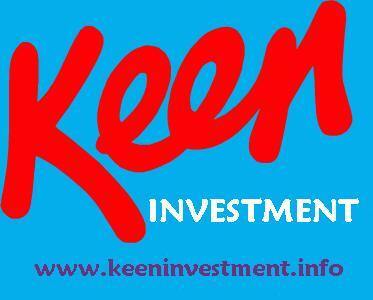 For example, you can’t solicit investors on your website nor via social media sites like Facebook. However, if you set up a crowdfunding campaign, you can (and should) market that campaign and drive traffic to it using social media. This article will help you do just that. Twitter. This platform offers short broadcasts or tweets, and members actively seek the latest news in real-time. The network has more than 500 million users. Facebook. This forum reaches 995 million active users, making it the largest social network. Members have vested interests in making connections with family members, people with similar interests, high school or college classmates, or people committed to certain social or environmental issues. Pinterest. This rapidly growing network features pinboards where members can organize recipes, tips, photographs and other materials such as blogs and how-to videos. LinkedIn. This network concentrates on business and professional people, and businesses need to maintain active profiles on this network to demonstrate to investors and donors that you’re legitimate. You should try to build a group of supporters before starting your crowdfunding campaign. Support need not always be financial because favorably disposed members could recommend your project to their friends and associates. Fans love to take part, so you should listen to what they say and adopt suggestions to foster loyalty. Basically, you’re looking for your advocates and cheerleaders. Find them and connect with them on the social networks. There are many crowdfunding platforms (e.g., Kickstarter, IndieGogo, etc.) where you can set up your crowdfunding project. Importantly, when you do, make your project pitch clear and concise, so people “get” it right away. Also, in the ideal case, you pull on people emotionally, so they really want to see you succeed. The key is to try to bond with people, which you can effectively do via a video you create showing why people should fund you and your venture. But also keep it real. Show funders how you will spend the money and over what period of time. Once your crowdfunding project is set up, use your social media presence to promote it. Post out to your network to tell them to visit your crowdfunding page and to tell others about it. Also, feel free to go beyond social media. You can use email, creative Youtube videos, a blog, and/or discussion forums to boost your efforts. Crowdfunding is a great new way to raise funding for your business. However, once you set up your crowdfunding page, don’t expect people to just show up and fund you. Rather, you need to market your crowdfunding project. And social media is a great way to do just that!